For 25 years, Brian Wise has been practicing family law in Maryland and Washington, D.C., representing clients in mediation, serving as a court appointed mediator and serving as a mediator for parties in private mediation. Over the years, Brian has also been appointed by the Court to represent the best interests of minor children in custody cases. Brian regularly attends continuing legal education programs on the latest trends and approaches to mediation as well as being a frequent lecturer on mediation topics. Because of his experience, his approach and his high rate of success, Brian is routinely selected by other attorneys to mediate the high conflict or difficult case. Brian’s approach to mediation is centered on communication and creativity. He works patiently with parties to get them fully involved in the process and fully able to share what is most important to them. He then helps the parties develop creative solutions to their issues well beyond what the court’s narrow jurisdiction might provide. Although Brian is an experienced family law attorney and his experience is invaluable for helping the parties reach agreements, as a mediator he does not represent either party and he does not provide legal advice to the parties. WHAT ARE THE RULES OF MEDIATION? First and foremost, mediation works best when the parties are civil with one another and focused on the future rather than the past. It is expected that emotions can run high during mediation, but as long as each party is respectful and allows the other person the opportunity to speak, the process can be very effective even when conflict is present. Mediation is confidential. A hallmark of the mediation process is that everything discussed in mediation is confidential. For example, if one party offers the other “X” amount for the family home and the parties don’t subsequently reach an agreement, neither party can state in court that “X” was offered for the house buyout in mediation. The parties will sign an “Agreement to Mediate” reflecting the confidentiality of the mediation process. This confidentiality ensures that the parties can freely develop and make creative suggestions and offers without any risks. The mediation can involve a “caucus” session. Sometimes during the mediation process it may be necessary for the mediator to meet with one of the parties separately. For example, this may be needed for a party to discuss a sensitive issue or to fully develop a proposal prior to making a formal offer. Importantly, the mediator will not report to the other party what was discussed in the separate caucus meeting unless specifically authorized. Each party will have equal time with the mediator in any separate caucus session. After the separate caucus session, the parties will ordinarily return to the shared conference room and resume the mediation. Continuing with the theme that this is “your’ mediation process, it is entirely up to the parties on how and to what extent to include attorneys in the mediation. Brian is equally skilled and experienced mediating cases either with or without attorneys present. It is fairly common for Brian to mediate for parties where neither has an attorney. When the parties are represented, they can choose to participate in mediation without their attorneys present, and simply report back to them following sessions. Alternatively, the parties can have their attorneys be present for some but not all of the mediation sessions. 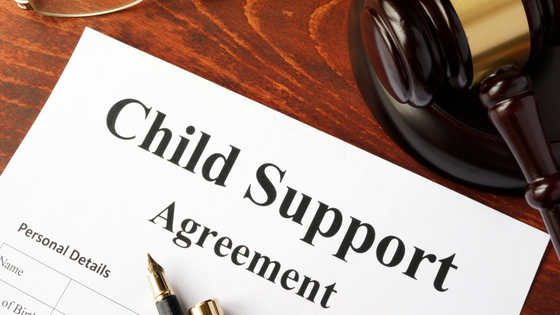 For example, some parties will mediate custody and visitation issues without their attorneys present but will have their attorneys present when financial issues are being addressed. Finally, some parties prefer that their attorneys be present for all mediation sessions. Again, it is entirely up to the parties on how the mediation is structured. With litigation (resolving your case through the court process), the parties are in an adversarial system where each attempts to convince a Judge to agree with him or her. A one day or several day trial is scheduled and the Judge will listen to testimony from the parties and any witnesses and review documents which are admissible under the rules of evidence. The Judge will then make a ruling based upon what the law provides. The average litigated case takes 18 to 24 months to be fully resolved. Mediation is a collaborative approach where the parties work together with the assistance of a trained mediator to create an agreement that works for their particular circumstances. The process is confidential and encourages creative solutions. The parties are not limited by rules of evidence or by the limited type of relief a court can grant. The average mediated case is resolved in 3 to 6 months. Litigation is a very expensive process. On average, mediating a case will cost less than 25% of the cost for litigating a case. WHAT ARE THE COSTS FOR MEDIATION? The mediator’s work in your case is based on the mediators standard hourly rate. The fees are often divided evenly between the parties or allocated in some other manner as agreed between the parties. You are only billed for the time spent together in mediation or if specific work is being done for your case outside of the mediation sessions. For example, the mediator’s hourly rate applies to the mediator drafting a summary of a mediation, drafting the Memorandum of Understanding or reviewing documents that are sent for review outside of a mediation session. Payment is made at the end of each mediation session by check, credit card or cash.